Boy George is one of the most recognisable British pop stars of his generation. Shooting to international stardom as the frontman of New Romantic group Culture Club, the band sold over 150 million records and stormed charts worldwide, releasing timeless hit singles ‘Karma Chameleon’ and ‘Do You Really Want To Hurt Me’. Their incredible albums defined the sound of the ‘80s, earning Grammy and BRIT Awards along with an extensive fanbase that transcends borders and generations. Boy George has rejoined the group in 2018 to release a new album, ‘Life’, and tour internationally. 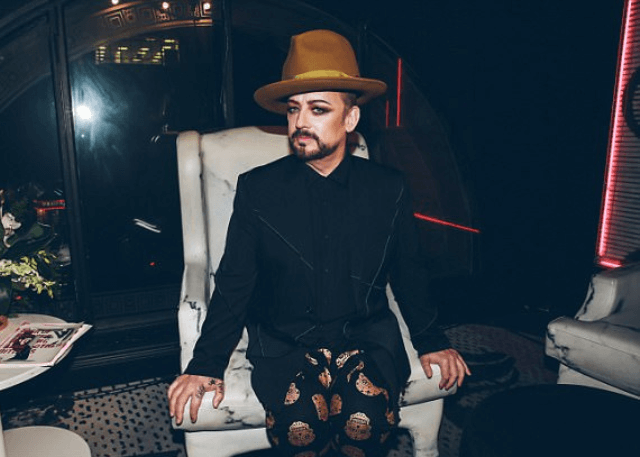 Since beginning his solo career, Boy George has continuously reinvented himself, finding success as a singer, actor, DJ, artist, fashion designer and cultural powerhouse. He remains one of Britain’s most treasured celebrities and a globally recognised musical icon. In addition to his success as a live performer, Boy George has established a career as an in-demand DJ, playing clubs, events and festivals worldwide. He’s graced the decks at premiere establishments in Ibiza, New York and London, bringing his soul-tinged variety of melodic house to ecstatic crowds in some of the world’s biggest clubs and venues.